There are few things in life more rewarding than owning a pet – but helping to find a home for a homeless animal is one of them! Many people’s first thought when looking for a pet is to consult the small ads or contact a professional breeder. But there are always lots of animals in need of re-homing that will fit the bill just as well. And the satisfaction of knowing that you have given a fresh start to an animal which, through no fault of its own, found itself with nowhere to live, is a great bonus for many animal lovers. Do not assume that all would-be pets looking for a new home are ‘problem animals’. Some do require re-homing because they have been abandoned or mistreated, and therefore need some TLC and special attention to return them to full health and help them over their trauma, but others are simply the victims of circumstance. Cats, for instance, can suddenly find themselves with nowhere to go because of the death of their elderly owner. Many animals become homeless because their owners realise they are no longer able to give their pet the quality of life they deserve, and part with them only after a great deal of hearthache. The bad news is there are always thousands of animals in need of re-homing at any one time, but the good news is there are lots of charities and other animal-loving groups who dedicate their time and energy to finding new homes for pets. And, as you will see if you visit the websites of these organisations, they often have plenty of success stories to tell about animals that have been adopted and are enjoying a new lease of life. Below are details of some of the organisations which are working to re-home animals in Swindon, Wiltshire and the south-west. This Swindon-based charity was founded by a married couple and is dedicated to the welfare of west highland white terriers and finding good homes for unwanted ones. 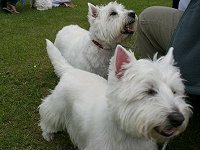 The website features some of the dozens of ‘westies’ that have been re-homed, and includes lots of information for future adopters. Britain’s primary cat welfare charity has a thriving Swindon branch, which has eight fosterers, and their website lists specific cats in need of somewhere new to live. They range from kittens to older cats whose elderly owners have sadly died. All cats come with microchips and have been blood-tested and worm-treated, and, if they are old enough, have been neutered. This trust is based in Bridgwater, but is concerned with re-homing labradors across the south-west, including Swindon (where the contact is Christine Warman, phone 01793 497346). Over the years the trust has helped no less than 8,000 dogs – all of which are placed after a home check. They will not allow dogs to go to homes where they are left for more than four hours a day. Swindon volunteers who could not raise enough for their own premises in the town took the decision to merge with this charity, which takes in cats and dogs at Whitminster, near Stonehouse, Gloucestershire. They survive on donations so charge an adoption fee of £135 for dogs and £50 for dogs to assist with veterinary fees. Swindon Borough Council has a Dog Warden Service which collects stray dogs and tries to reunite them with their owners. Where this is not possible, they try to re-home the dog instead. The availability of dogs varies, so contact Alison Waine or Glyn Eamus on 01793 466080 or awaine@swindon.gov.uk for the latest information on dogs that need a new home. DogsBlog is a website that is dedicated to re-homing dogs nationwide and works on the principle that “the ‘right’ dog is not necessarily the nearest dog”. It has so far re-homed 14,000 dogs and lists around 2,500 others that are looking for adoption now. Based in Calne, this long-established charity has its origins in the 1960s and has re-homed thousands of dogs over the years. They do not release any dogs for adoption until the dog has been thoroughly assessed and would-be owners have undergone a home check. Around 9,000 greyhounds are retired from racing each year, and the Swindon branch of the national Retired Greyhound Trust has up to 50 on its books at any one time who are in need of a good home. All of these are listed on their website. Contrary to many people’s expectations, greyhounds require no more exercise than other breeds, and are among the most loyal, docile and intelligent of dogs. 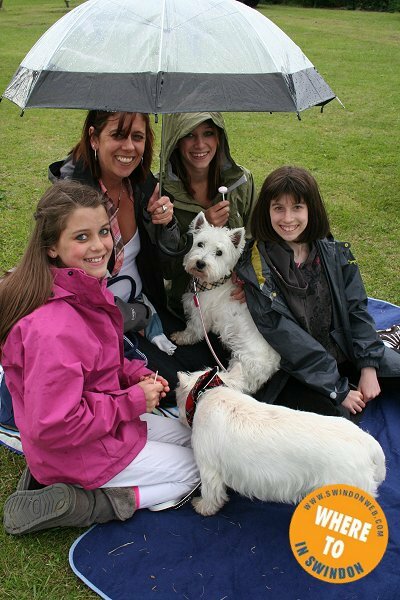 This organisation is dedicated to the welfare, rescue and re-homing of dogs across the south of England, and has a regional office in Wroughton. As is the usually the case with these two breeds, most of the animals they rescue are ex-racing dogs that are no longer wanted. Some have been well-treated, others not. Rottie Rehab is a small rescue centre in Chippenham that is concerned only with rottweillers – “this beautiful but misunderstood” breed which are happy, loyal and intelligent. Their website has a list of named and pictured dogs for adoption, and they charge a minimum fee of £150 to cover neutering, vaccinating and microchipping, plus flea and worm treatments. This small organisation is based at Collingbourne Kingston, near Burbage, and helps ‘Staffies’ find their “forever homes”. Most of the dogs handled by the charity have been abandoned or mistreated. Blue Cross is a national charity that finds homes for cats, dogs, guinea pigs, hamsters, rabbits and horses. 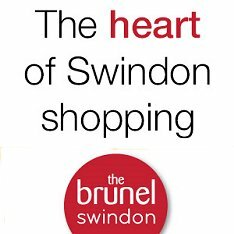 Their website offers the chance to re-home pets according to location, and you can also visit its adoption centres – the nearest to Swindon being at Burford and Lacock. All animals handled by Blue Cross are given what they call “a full MOT” before they are released for re-homing. CottonTails Rescue is a Westbury-based charity which finds new homes for rabbits and guinea pigs. Their website features named and pictured animals that are ready for adoption. Rabbits are re-homed as compatible pairs, although they also re-home single animals “for match-ups with your lonely bunny, if required”. Ferrets make surprisingly good pets as – despite their reputation - they are not wild animals. Indeed, they are covered by the Pet Animals Act. They are happy and playful and appreciate handling as they get older. As carnivores, they require a high-protein, high-fat diet, and they need to be allowed out of their cage for at least an hour and a half a day, during which they require supervision. The Wessex Ferret Club is based in Dorset but finds homes for ferrets in Wiltshire and across the south of England. 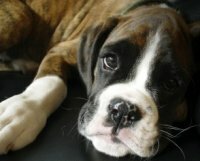 Although they have no kennelling facilities, this Swindon-based organisation helps boxers and tries to find homes for dogs who, through no fault of their own, require re-homing. Check their website for information on specific animals currently seeking a fresh start in a new home. 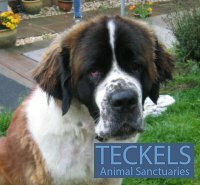 This national website features links for all kinds of groups involved in rescuing and re-homing a wide range of different animals. It has comprehensive information – for example on centres which organise the adoption of specific dog breeds.